The most anticipated event of the year, Prom, will be held at Destiny Community Center in Rocklin. 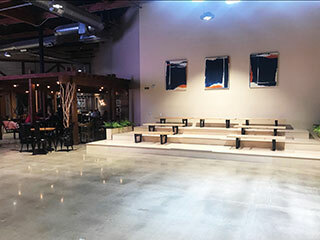 Destiny Community Center in Rocklin is going to be a great location for the prom. Photos by Selia Armenta. Senior year consists of many milestones. Other than graduation, prom is the biggest milestone. We want it to be memorable, something that will stick with us for the rest of our lives. The gowns and suits, the music, and the company. All these things are key factors of a successful rom night. The biggest factor of all is the location. We had our choices and the administration had theirs. Some of our top choices were the Flamingo Banquet Hall, and Uptown Ballroom. Both were beautiful locations and we took in consideration the price for it all. But then we had an offer. 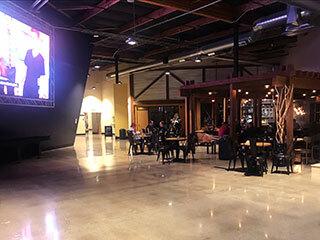 Destiny Church was willing to give us their Community Center for our special night -- for free! This was an offer we could not refuse, so students from Leadership went to scout the location. It was pouring rain as we drove the freeway on our way to see it. As we turned, we could see the location. Wait. Was this our final prom location? This doesn’t look like the ideal location! We said to each other, each stating our own opinions about it. We walked into the location and looked around. There was a café, a seating area, a lounge, and even a gym! I immediately thought of myself running on the treadmill in my gown and heels. I couldn’t image having prom here, I thought. 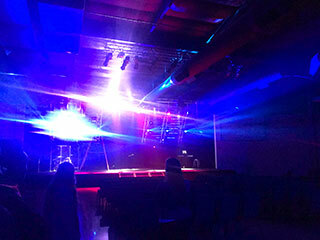 The staff offered to show us the sound system with the changing lights. My ears began ringing as "Mi Gente" by J Balvin blasted -- on full volume -- through the dance room. The whole environment changed when they turned the lights on. I slowly began to see how this location might work. But we were still not convinced. We sat down to have a conversation on how we wanted to transform the location. "I want you guys to think BIG," the tour guide said. We talked about our theme -- Met Gala, and how we would buy a package of decorations for the venue. We would have a red carpet and photographers, giving the illusion of a real Met Gala. I even offered the idea of a live tiger. Unfortunately they only had stock figures. They agreed with any idea we had and said they would make it happen. Our decision was made. This was our location. We would transform it into exactly what will stick with us. This would be the most memorable prom yet!